In Chapter 10 of The Musician’s Way, I emphasize that musicians should view errors not as shameful failures but as neutral information. 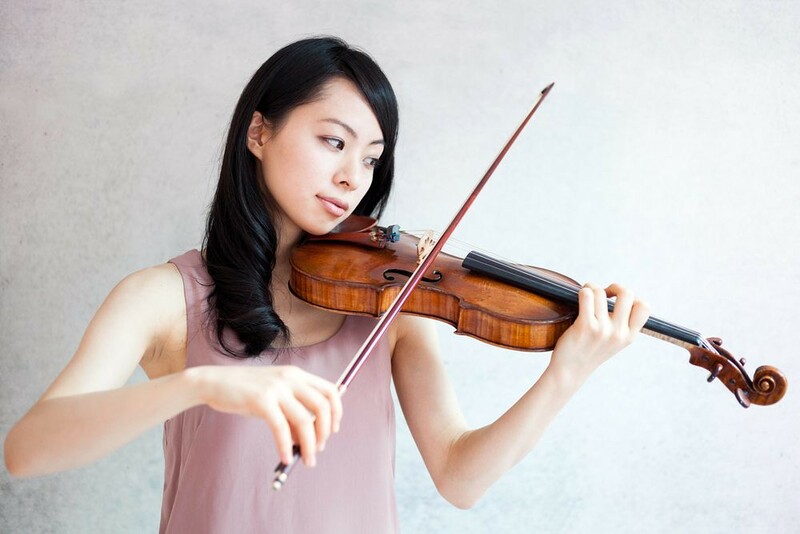 Having such a healthy attitude toward mistakes is crucial, but performers also need techniques to curb their musical effects, which is the subject of this article. The primary strategy for responding to on-stage mistakes begins with maintaining the pulse and the forward motion of the music. Conversely, if you flub, and instead of forging ahead you backtrack or disrupt the flow, then you’ve made a second error, and a major one at that. Of all the bloopers that musicians can produce, rhythmic interruptions have the most jarring effect on listeners, so keep going through any gaffe. At the same time, release tension and project a positive air. Display confident body language, come what may. Below are synopses of the five main types of performance errors along with examples of how you might apply the primary response. If you let your mind wander while you’re on stage, you’re courting trouble. Even if no sonic harm ensues, you’re like a sleepy driver, nodding off at the wheel, who wakes to find disaster barely averted. The fundamental skill to help you counter lapses is to be attentive to your inner state so that you recognize any lull and instantly snap back on course. When restoring your attention, be relentlessly nonjudgmental. No matter how often your mind darts away, calmly refocus on the music as you breathe, release tension, and image ahead. Students who have frequent lapses in performance typically establish lax mental habits in practice. Be alert in the practice room that your mindful radar never goes on standby. Always direct yourself with broad awareness. When you blur a couple of notes or drift slightly out of tune, you’ve committed a minor inaccuracy. These are the most common performance errors, and they usually pass unnoticed by listeners. But they can startle performers. Whatever the cause – often it’s a mental lapse – respond by retaining connection to the pulse and the music. Simultaneously, realign any internal setting that may have slid off track: Smooth out your breathing, hear where you’re going, and lead yourself onward. Most of all, while on stage, expunge errors from your mind. Performers who fixate on glitches become mired in mishaps. Instead of preparing the phrases to come, they mentally revisit their flubs, and the distraction causes them to blunder again and again. Whatever the inaccuracy, stay engaged with the music, and let mistakes dissolve into the past. Be like an actor who doesn’t break character. 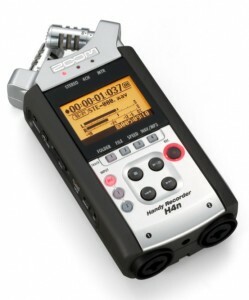 Convey buoyant body language, and continue giving your listeners the most magical experience that you can. Examples of miscalculations include botched entrances and technical misjudgments that result in substantial misses. With a miscalculation, your focus is sharp, your intention clear, but somehow you’re no longer riding the same musical train that you boarded at the start. These errors can deliver a jolting surprise to a performer. Neutralize any shock by resetting your musical and technical guideposts: Mentally count, and image ahead while you let go of tension. In an ensemble, if you lose your place, look and listen to your coperformers for leadership. When you’re performing solo, boldly take the lead, and show your accompanist the way. Technical breakdowns consist of things like briefly losing command of your voice or embouchure, skidding off the fingerboard, or dropping a mallet or bow. Your countermeasures may require more effort than lesser mistakes call for, but your emotional response is identical: You remain composed and act purposefully. If you can’t immediately return to unhindered execution, mentally sing or count as you adjust. Then reenter the musical context joyfully, sending negativity far out of sight. The more expressively you perform after such a stumble, the more insignificant it becomes. This strategy doesn’t pertain to mechanical breakdowns, though, as when a solo violinist snaps a string. Then you stop performing, explain to the audience, and exit the stage to get an instrument back in working order. Once function is restored, you carry on with your performance. When you don’t transmit irritation from mechanical breakdowns, an audience finds them interesting and even amusing. Your showmanship skills will determine how they go over. Among the constellation of errors, memory slips probably strike the most fear. Thorough memorization, covered in Chapter 4 of The Musician’s Way, will enable you to make slips scarce. Still, no performer is ever immune to the prospect of coming up blank. When your recall falls short, to preserve the rhythmic flow, continue making music by inventing it on the fly. The best choice is to improvise in the style of a piece and work your way to a concrete point where you can pick up the material as rehearsed. Whatever you do, don’t stop. If you’re a vocalist who can’t conjure up the right words, sing an assortment of vowels and syllables. If you’re an instrumentalist, play rhythmically, in keeping with the profile of the music. Or, when performing unaccompanied, if you aren’t a nimble improviser, you might repeat an earlier phrase, jump to a section that’s clear, or restart. Failing these, if you still can’t get through a piece, gracefully conclude. Students who lack improvisational agility often cave in when their memories misfire. If you’ve never rehearsed those sorts of improvisations, you’re unlikely to accomplish them on stage. To acquire a fluid response to gaps, integrate improvisation drills into your practice, and periodically simulate memory lapses, obliging yourself to wing it for a few measures. You don’t need the know-how of a jazz master to get through slips, but you can cultivate the tools to ad lib your way out of trouble. Expert musicians always have error responses ready. When mistakes occur, they expend little energy setting things straight. For you to become that proficient, you have to practice performing, juggle any goofs, record, and then review your reactions. Aim to instill a reflex that enables you to engage errors musically while releasing tension and worry. When an error sends you for a dunk, you have a choice: Sink or swim. By practicing your error responses until they’re instinctive, you’ll learn to swim your way out of any predicament. 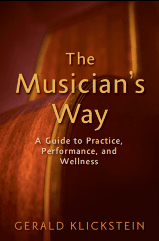 The Musician’s Way articulates a step-by-step process to gain practice, performance and career skills. Read reviews.